Insurance premiums for families are a large expense and that is why Blossom Birth Center’s Dr. Nichelle Whitehead, MD is contracted as an In-Network Provider and Facility with Blue Cross Blue Shield and Arizona Care Network (intel). With Blue Cross Blue Shield we collect deductibles, co-insurance and co-pays for mother and baby as your individual plan requires. Blossom is contracted as an In-Network Provider Only with the following Insurance companies: Cigna, Arizona Care Network, United Health Care, and Tricare. With these insurance companies we collect deductibles, co-insurance and co-pays for the provider portion and a fee based on your out of network benefits. Blossom is continuing on-going negotiations with Aetna, and Humana. Please click the Verification of Benefits button and fill out the corresponding information. If Blossom is not contracted with your insurance plan we are considered out of network, and cost is based on those plan benefits. To determine your insurance plan coverage complete our verification of benefits. We welcome cash pay clients and offer fees that are competitive and fair for all clients seeking an out of hospital birth experience. 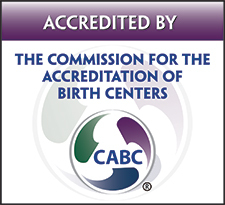 Blossom Birth Center accepts Visa, MasterCard, American Express, Discover, and United Medical Credit. 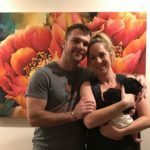 Blossom Birth and Wellness Center offers payment plans. Please call our office with any additional questions 602-256-7766.